Join Kerin Realty on Sunday February 24th for a Euchre Tournament at the Summerfield Crossings Golf Club. For your chance to win $250. Dont know how to play? No worries the rules are posted below. 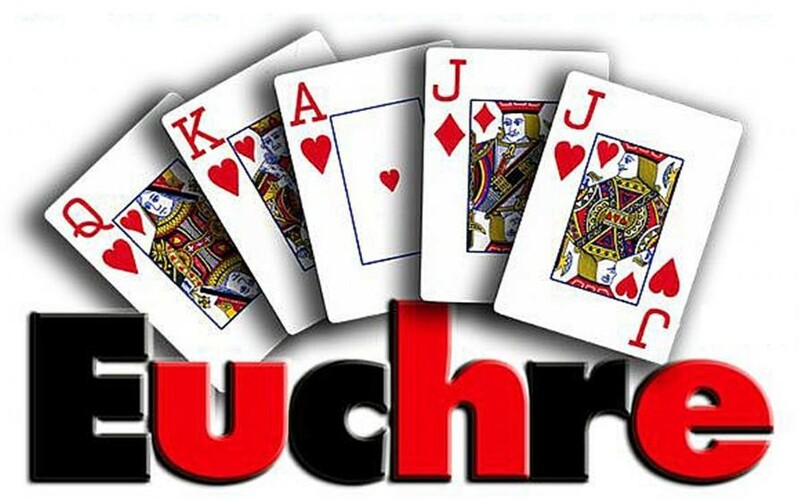 Euchre is an offshoot of Juckerspiel, a game that became widely popular throughout Europe during the Napoleonic era. In the 1800s, it became one of the most popular card games in America and Australia. Euchre (and its variations) is the reason why modern card decks were first packaged with jokers, a card originally designed to act as the right and left "bowers" (high trumps). Although later eclipsed by Bridge (as with so many other games of this type), Euchre is still well known in America and is an excellent social game. The game is best for four participants, playing two against two as partners. Therefore, the rules for the four-hand version are given first. Special Euchre decks are available, or the standard 52-card pack can be stripped to make a deck of 32 cards (A, K, Q, J, 10, 9, 8, 7 of each suit), 28 cards (7s omitted), or 24 cards (7s and 8s omitted). In some games, a joker is added. The goal is to win at least three tricks. If the side that fixed the trump fails to get three tricks, it is said to be "euchred." Winning all five tricks is called a "march." The highest trump is the jack of the trump suit, called the "right bower." The second-highest trump is the jack of the other suit of the same color called the "left bower." (Example: If diamonds are trumps, the right bower is J♦ and left bower is J♥.) The remaining trumps, and also the plain suits, rank as follows: A (high), K, Q, J, 10, 9, 8, 7. If a joker has been added to the pack, it acts as the highest trump.